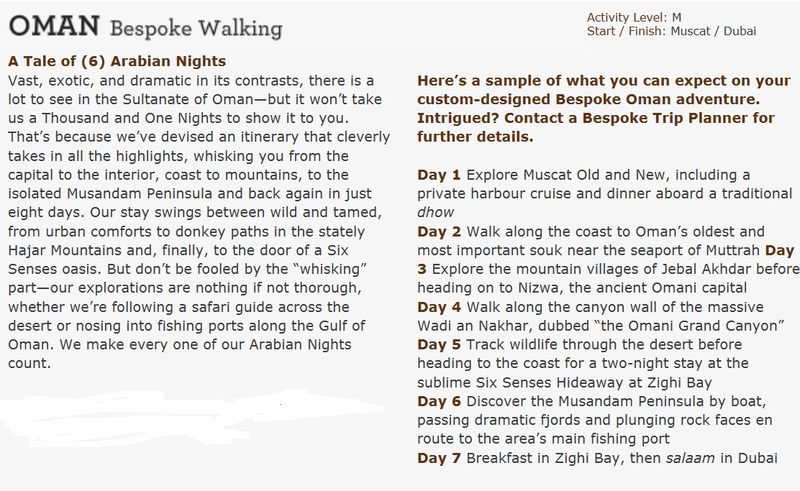 Call Travelwizard.com at 1.800.330.8820 to enquire about this Oman luxury adventure vacation and explore this exotic country by foot. Mention trip code:BRWS to access pricing. ~ by travelwizette on March 2, 2012.